Located in a quiet neighborhood with an easy commute to any DSM attractions. Relax in this darliing 3 bedroom brick home. It is within walking distance of the best Beaverdale locations. A grocery store is 3 blocks down the street. Nice neighborhood with lots of street appeal. The Franklin home is about 1/2 mile from Drake University campus. 2 deluxe bedrooms with queen beds, a 3rd bedroom upstairs with 2 twin beds and nice linens for up to 6 guests. 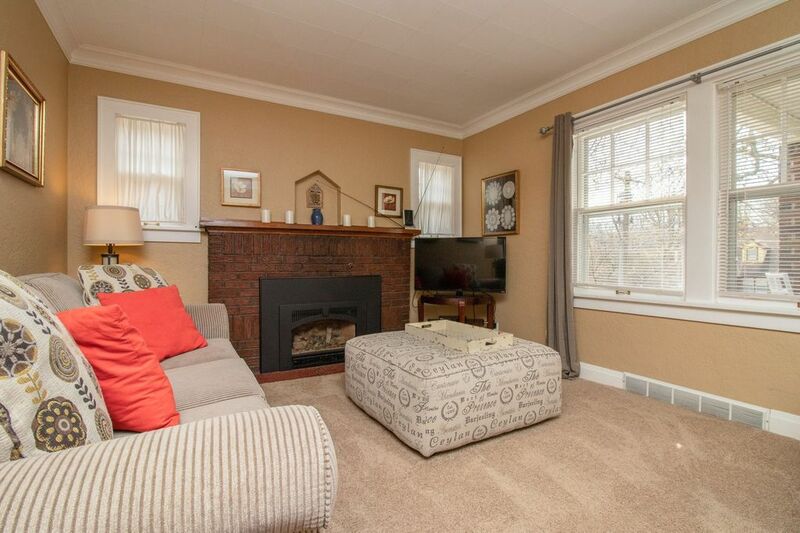 The living room has a gas fireplace with remote and tv/dvd. There is wireless for your use. The kitchen is well outfitted for cooking, there is a nice outdoor patio in the back yard. A two car garage with remote is included so you can keep your car snow free in winter. A washer and dryer in basement are included for your use. We were there over the holidays. It was a charming, comfortable place to stay. They had taken the extra step to decorate for the holiday and left us a wonderful goodie bag. Highly recommend! We loved this house! Perfect space, immaculate, 3 blocks from our grandchildren and the most well appointed rental we've ever had. We so appreciated the welcome treats and we will definitely return! We traveled to Des Moines for Thanksgiving to visit family. The accommodations were lovely. Very charming, clean, and cozy home. Owners were very helpful with checking in and out and everything was in perfect condition for us. Bonus points for hospitality and including a goody-bag of local treats! Would definitely stay here again on future trips. Cozy, comfortable and super clean! Great neighborhood and location within a few minutes of everything. We loved it and would definitely stay here again! We were in town to move our parents out of their home of 50 years. It was a long, emotional week. Fortunately we had this lovely home to escape to at the end of the last few days in town. We were able to attend the Beaverdale Fall Fest, what a hoot! This home is perfect for parents visiting Drake University as it is close to the school but far enough away you are out of the primary college housing area. A group of friends and I stayed here for a friend’s wedding over the weekend and the house was great! The kitchen was stocked with everything we needed and the common spacers were great to unwind at the end of the day. We were just a few minutes drive away from everything. Loved the goodie bags from our host! Would stay here again for sure! This home is located in the Beaverdale Neighborhood. It is nice residential with a interesting business district near by. Local independent restaurants, bars, ice cream store, book store, coffee shop, candy store, cute clothing shop, bike shop etc.